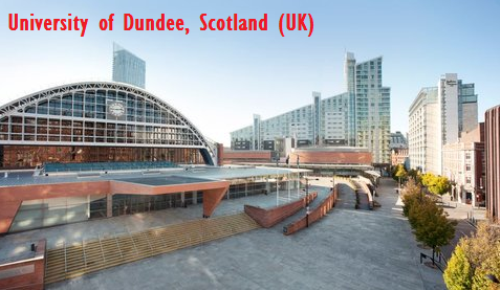 The University of Dundee is offering Undergraduate and Masters Scholarships to international students wishing to undertake degree programmes at the University. About Scholarship: This scholarship is payable for each year of your degree at Dundee. The Dean’s International Scholarship is available to applicants in each of the University’s 9 Academic Schools. Eligibility: The Dean’s International Scholarship is open to undergraduate and taught postgraduate international applicants. Value of Scholarship: If you are successful you will be awarded £3,000 per year, which is deducted from your annual tuition fee. How to Apply: If you are made an offer for an eligible course, the University will email you a link to an online scholarship application and ask you to submit a short supporting statement. Now that all the information about University of Dundee Global Excellence Scholarship for International Students has been delivered nicely; talented students who are eager to pursue their Free Tuition/Scholarships/Study in Scotland (UK) for Undergraduate, Bachelors, Postgraduate, Masters, PhD, Associate Degree and Other Degrees, can apply now.